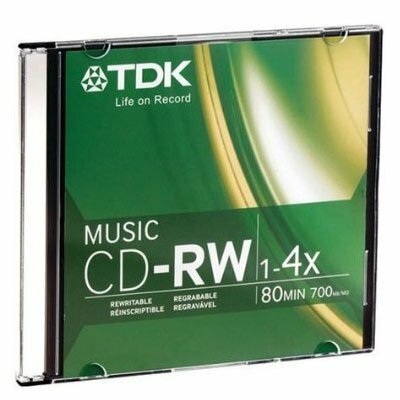 TDK 47912 CD-RW 80min Music 1X-4X Slim Jewelcase by TDK Media at Andy Pemberton. MPN: 47912. Hurry! Limited time offer. Offer valid only while supplies last.